Without a pause in her silence. Without her causing the violence. Her brown and sore skin, divided. Rip out and force me for my things”. Nor the law is abiding. Lies demons wicked in unheard degrees. Unlike seasons that withered without burning trees. His trees form an unbreathing realm where the sun is overnight. With visions injured, he doubts their certainties. His certainties know no children’s health but loafers’ fun. She wishes women wizards could come and serve him tea. She’s barely grown, with belly blown. She carries loads, him and his bone. She has no friends, he cares so less. She can’t confess, he gets so mad. She’s dripping red, his sleeping bed. She isn’t fed; he’s sipping ‘bread’. She whips it out, he screams he shouts. She’s feeling ouch, he’s filled with fouls. Her unborn dies, his son from lies. Her gun drawn eyes, his one stop sign. He drinks his actions, she seeks protection. He breathes aggression, she breathes but lessened. He kicks, he bashes, she licks the patches. He beats, he lashes, she’s weak, she’s ashes. His daughter’s eyes are slowly dying. He orders her life, but no reply. He calls her twice but she’s cold as ice. But their world and mine are both combined. Confined by confinement in a prisoner’s shoes in jail. Where cold roams through broken windows to kill souls of angry faces. 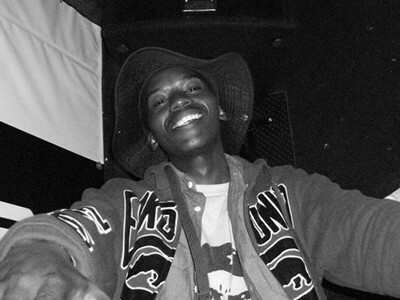 Andile Nayika was born and raised in Grahamstown, South Africa. He was first introduced to storytelling and poetry by his late grandmother. He has published his works in various poetry publications like Oppikoppi’s Ons Klyntj. He has also written for media houses such as the Mail & Guardian in Johannesburg. He is a founding member of the Writers Movement, which collaborates with the Rhodes University English Department to produce the Cycle of Knowledge.